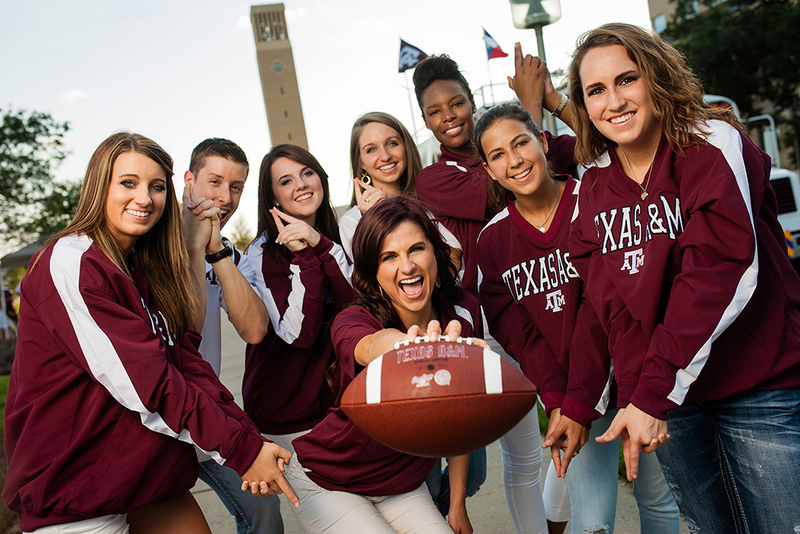 Beginning Sept. 4, Texas A&M University will partner with America’s largest collegiate apparel supplier, Knights Apparel, to launch the Costco Back-to-College Tailgate Roadshow featuring Aggie Gameday apparel. Texas A&M and Knights Apparel will utilize the reach of Aggie connections via social media channels to promote the Costco Back-to-College Tailgate Roadshow event and drive traffic to the 20 participating Costco Wholesale locations that will exclusively carry the merchandise. Additionally, the Center for Retailing Studies at Mays Business School and Ramkumar Janakiraman, associate professor of marketing, will lend academic analysis to the project by exploring the effects social media on the campaign’s return on investment. After the promotion ends on Oct. 10, Janakiraman will evaluate the impact of engagement from Texas A&M’s official Facebook, Twitter, Pinterest and LinkedIn channels on product sales. The university’s social media program has been recognized as one of the top in the nation by CollegeAtlas.org and was No. 2 behind Harvard in Social Media Today’s “Top Universities in Social Media.” It was ranked as the most influential college online for 2011 by Klout and in the top 10 of most social-savvy MBA schools in 2013 by Social Times. The Center for Retailing Studies has had as its core mission for more than 30 years to develop future retail leaders for careers in store management, merchandising, and marketing. This is the first time the center has partnered with a vendor and retailer to execute and evaluate a real-world sales promotion. Knights Apparel, the largest manufacturer of collegiate licensed apparel in North America, will produce the apparel, which is available only in stores for Costco members.